Lock in a great price for Södertuna Slott – rated 8.3 by recent guests! 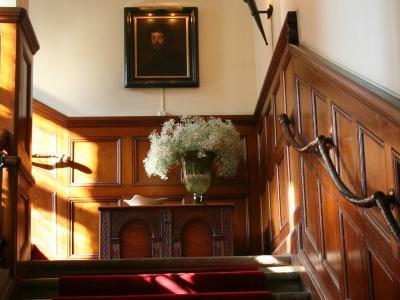 Gorgeous public rooms and fantastic staff. Very relaxed. Great indoor pool. This is a great venue, the food was so excellent. We had the fish and it was cooked to perfection, perfect portion sizes, vegetable delightful as was the homemade bread. Lovely well maintained building. Nice staff- good service. Urvalet godtagbart till frukosten. Förväntade mig några stekta prinskorvar tillsammans med baconet. Även någon inlagd sill eller ansjovis filé efter kvällens goda drykes gemenskap. Det mörka brödet välsmakande men för knaprigt/hårt, kunde ha funnits någon vit/brun brödkombination som Bräck. Både förrätt, varmrätt, ostbricka med vinkombinationer perfekt anrättat, sammansatt och presenterat!!! Frukosten var helt OK, möjligen kunde den utgöras av ett litet större urval. Låg vackert med fin miljö samt lugnt och skönt. Avkopplande härlig och historisk miljö i och runt slottet. Mycket trevlig personal på ett fantastiskt vackert slott med go mat och mysiga rum. Läget är helt fantastiskt och maten var utsökt. Vacker inredning och perfekt för avkoppling och återhämtning. Södertuna Slott This rating is a reflection of how the property compares to the industry standard when it comes to price, facilities and services available. It's based on a self-evaluation by the property. Use this rating to help choose your stay! 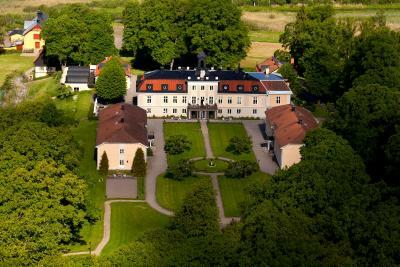 Set in the wings of a grand 18th-century castle, this hotel is by Lake Frösjön, 1.9 mi from Gnesta. It offers gourmet food, plus free Wi-Fi, sauna and pool access. Södertuna Slott’s individually decorated rooms feature a flat-screen TV, work desk and views of the lake or English-style garden. Regional cuisine, along with a wide selection of Armagnac brandy and wine, can be enjoyed in the 18th-century dining rooms. Södertuna Slott Hotel’s elegant library features comfortable lounge chairs and a fireplace. Free canoe, ice skate and bike rentals are possible on site. Other options include an outdoor hot tub and massage treatments. A historical sightseeing tour of the area is arranged every Saturday. Stockholm is 45 minutes’ drive away. This property also has one of the top-rated locations in Gnesta! Guests are happier about it compared to other properties in the area. 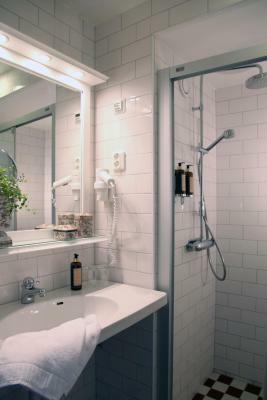 When would you like to stay at Södertuna Slott? Individually designed rooms with a flat-screen TV and lake or garden views. This suite features a cable TV, dining area and seating area. House Rules Södertuna Slott takes special requests – add in the next step! All children under 2 years are charged SEK 325 per night in a crib. All children under 12 years are charged SEK 325 per night for extra beds. Södertuna Slott accepts these cards and reserves the right to temporarily hold an amount prior to arrival. Please note that Södertuna Slott does not accept cash payments. Many of the staff appeared lacklustre or demotivated. Are management providing enough support/training/incentive? Staff service should be consistent with the fabulous venue. There was very little in the way of customer service at the property. The staff were not rude, but they failed to provide any attentive customer service. E.g. Atcheck in we only received the room key and we were left to find out what facilities/meal times/activities were available at the hotel. There was a disappointing 'rushed' feeling that we received when trying to chase down the staff when we wanted to find information. The location and the grounds were fantastic. Having to go outside to get from the rooms to the main building, forcing one to bring along the coat or finally just take the flu risk. The rooms could do with a bit of design splendor to shake off the youth hostel glow. The black breakfast tea was killing and certainly more vintage than any of the Armagnac in the house. Shower did not function as it should. Room could have been cleaner. Great hotel and the restaurant was excellent.